Berkeley Bob’s Coffee House is the premier venue for live music in Cullman. Weekends bring some of Alabama’s best musicians for a toe tapping good time. And first and third Monday’s are reserved for Open Mic, where neighbors gather to pick and grin. 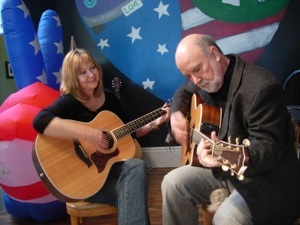 This Saturday, June 22, don’t miss Walker County singer/songwriters Rick and Jilda Watson.